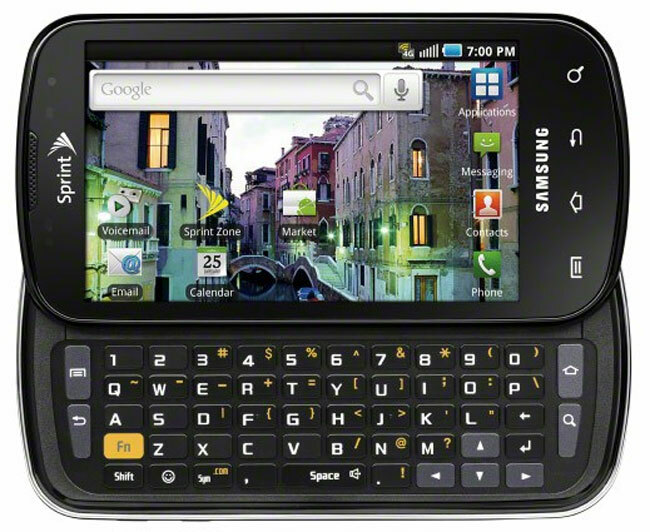 The Sprint Samsung Epic 4G was announced last month, and is Sprint’s latest Android smartphone, and looks like it is going to be one of the most exciting Android smartphones to date. 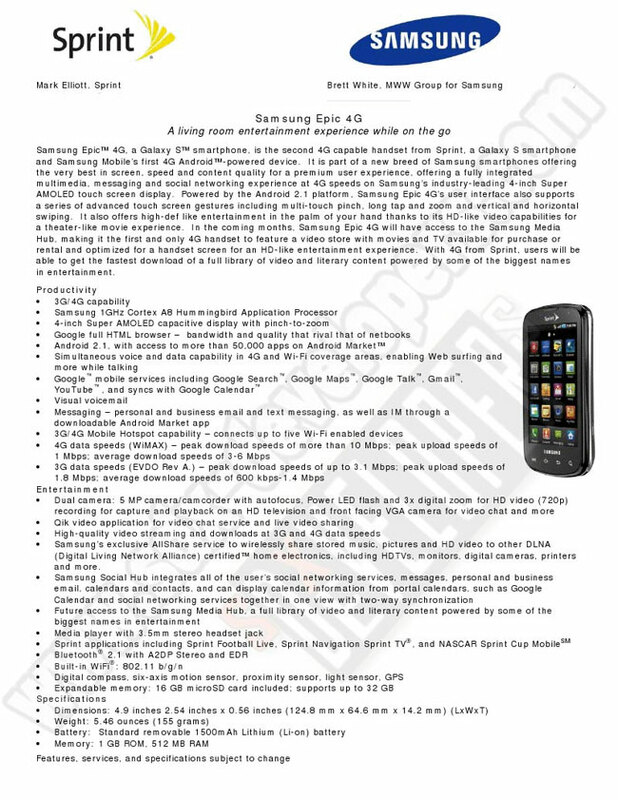 When it was announced we pretty much knew the specifications of the Samsung Epic 4G, but now the guys over at SDX Developers have got their hands on a full specifications sheet which details everything about the Sprint Samsung Epic 4G. The Samsung Epic 4G features a 4 inch Super AMOLED touchscreen display, a 5 megapixel camera with an LED flash and the ability to record HD video in 720p. There is also a front facing VGA camera for video calls. Other specifications on the Samsung Epic 4G include integrated 802.11 b/g/n WiFi, a six axis accelerometer, and a 1GHz processor, plus EV-DO Rev and WiMax. The Epic 4G can also be used as a WiFi hot spot for up to five different devices. The Samsung Epic 4G features a full QWERTY keyboard, and will come with Android 2.1, and features a 1500 mAh battery, you can check out the full specifications list in the picture below.